Sold in the quantities below. 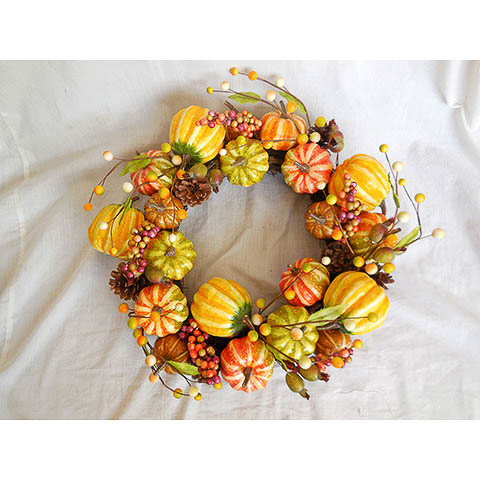 16 Inch Pumpkin Gourd Decorative Wreath Green Yellow. 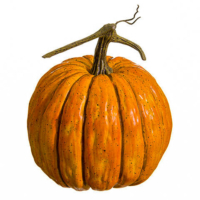 Feel free to call us at 1-213-223-8900 if you have any questions about this 16 Inch Pumpkin Gourd Decorative Wreath Green Yellow. We are open Monday – Friday 7am – 5pm PST. 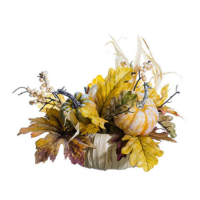 Our sales representatives are experts on the qualities and applications of our Wreath. You can also inquire about this Wreath directly by clicking on the Product Inquiry tab to the left or send us a message via our Contact page. 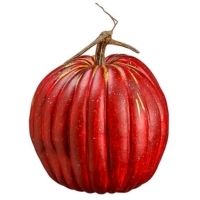 Also, visit the Amazing Produce Blog for creative Wreath product applications. Amazing Produce is the premier commercial wholesale and retail distributor for Artificial Fruit and Artificial Vegetables. 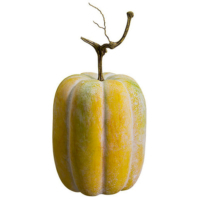 We offer a complete selection of Fake Fruit and Fake Vegetables. Amazing Palm Trees is the premier wholesale and retail distributor for Silk Palm Trees and Artificial Palm Trees. Place your message and/or comments here.